Proper rebar bending techniques are the key to making sure your rebar structural brace is done accurately. When rebar is bent or cut improperly, the safety of the construction professional is at stake, as is the reliability of your structure’s reinforcement. As a construction professional, you do not want to compromise either of these elements on the job. You never want the safety of your construction professional to be at stake, as then if something happens, you lose a reliable worker and you’ve possibly cost your company a lot of money. Just as important is the reliability of your rebar structure. You don’t want anything to break or fall before or after a job is completed. Today, advancements in bending equipment benefits safety and reliability, while also improving convenience. The right bender should be used for the right angle. Diameter specifics should also be taken very seriously, and a cut or bend should never be rushed. Below are steps and suggestions for you to follow to bend rebar properly. To bend rebar, a manual bender is good for many types of jobs; manual benders rely on the strength of the user to cut properly by pushing down on a lever. Bending rebar properly relies on leverage. Also, here is where diameter should be considered. Make sure your manual rebar bender can handle rebar diameters up to a certain point, such as 63 mm. You don’t want to invest in a manual rebar bender that will not work for the types of jobs you’re doing. Rebar can also be bent with a bar and pipe, but it takes experience and practice to master this safely and without damaging the user or the steel. How quickly does it operate? Bending/cutting capabilities – will they work for your projects? The type of rebar bender or cutter you need will depend on what types of jobs you are completing. How much space you have to bend or cut the rebar is an important factor to consider. Another important factor to remember is that within the majority of jobs, will you be bending and cutting rebar in-place or within stationary operations? 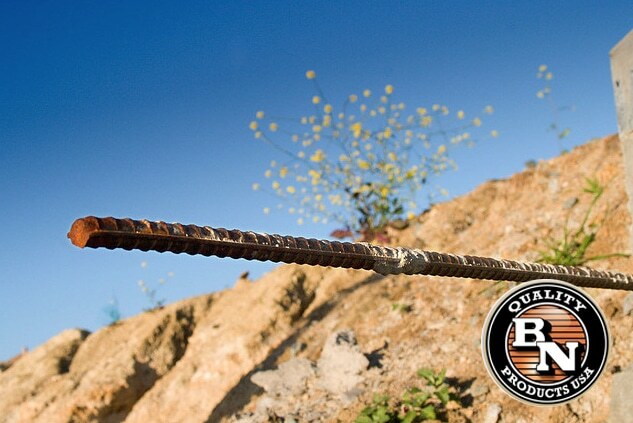 Do you need a device that will bend and cut rebar protruding from a hard-to-reach or awkward place, such as a column? Or will you mostly need a tool that can operate from a table? How heavy duty is most of the rebar you need to alter? Naturally, most construction professionals need rebar benders and cutters that answer to a variety of needs, as no construction job is the same. 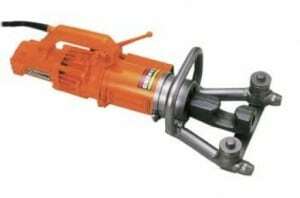 There are many portable rebar benders out there that just bend; some bend and cut. Making an investment in a portable rebar bender and cutter could be wise in many aspects. You can cut rebar using heat, electric saws and bolt cutters, but these aren’t necessarily the safest techniques and don’t necessarily provide the best results. These are also techniques that need to be mastered over a long time, so many construction professionals don’t have the know-how to follow these processes as accurately as needed. Remember – never compromise safety or reliability! Technology has also changed the way stationary rebar bender or cutter units benefit construction professionals. Many stationary units turn into portable units, making your investment worth every penny. Some stationary units are very versatile, allowing contractors to remove the rebar cutter portion and take it to a job site. Convenience, when done properly, is one of the best ways to up the efficiency of a job site. Naturally, when you invest in a stationary rebar better/cutter, you want the device that will best serve your needs and create efficiency at work. You may need to consider investing in different types of rebar benders and cutters. As you can see, the types of jobs you are completing vary, so different rebar benders and cutters, whether manual, portable, stationary or a combination of these, will have different benefits. All rebar benders you purchase will have unique functions. Some will the same, and some will have more versatile, all-purpose uses. Before making an investment, think about the construction professionals that will be bending or cutting the rebar. Will you have mostly highly experienced professionals completing the task, or will there anyone who is just learning how to follow through with the duty properly? Naturally, keep in mind the safety of each type of professional, but also remember that for more inexperienced contractors, rebar benders and cutters that are more reliable, sturdy, safe and easy to use could be a better idea. Think about transport, as well. How heavy is the manual bender you purchased? How easily transportable is your portable cutter? Is it adjustable? Does it incorporate a variety of different rebar diameters? Does your manual bender have a safe, reliable base on which leverage will be pushed? If you are looking at a stationary bender, is the table height convenient for all heights of workers? How many degrees does your rebar bender incorporate? There are many factors to consider when investing in solid rebar bender and cutters, but the ones mentioned above are the most important factors you can consider for finding a device that is reliable, safe and convenient.